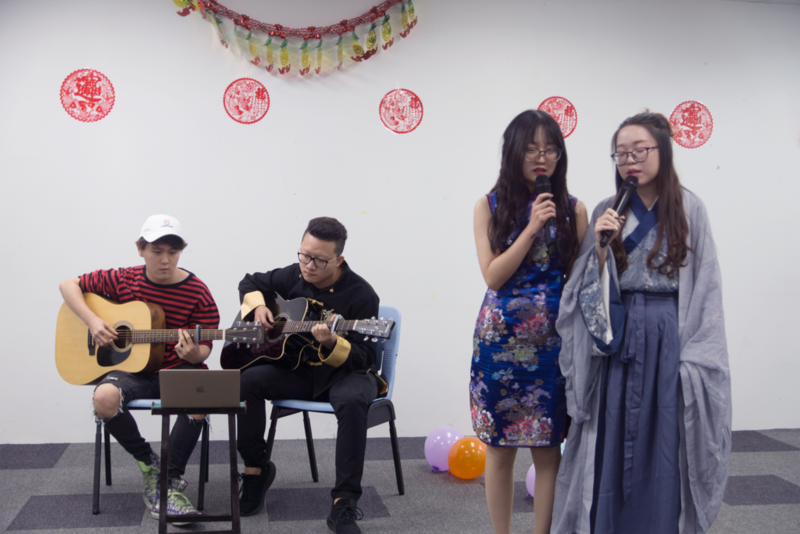 SDH Got Talent brought energy, charm and a variety of skills to the performing area of Raffles Classroom on 26 January 2018. This friendly contest has zero talent restrictions and zero cultural boundaries! SDH Got Talent is a platform conceived and organised by SDH Student Council for students to have a platform to showcase their talents and unique skills.SDH-VATEL encourages students to not hold back their talents and unique skills. The prizes of $100, $50, and $25 will be given to the top 3 performances. 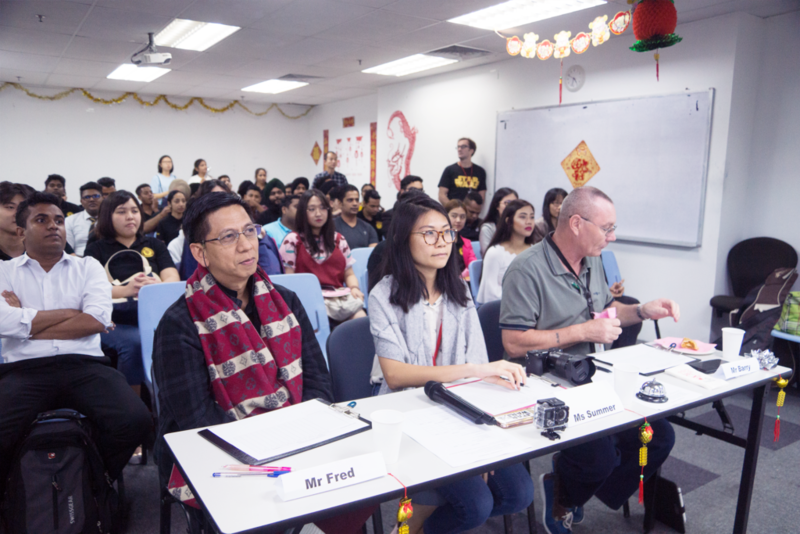 The panel of judges is Mr Fred (Lecturer), Ms Summer (from the marketing team), and Mr Barry (Lecturer). Each performance is graded with a scoring rubric which is separated into 3 different categories of performance arts; Music (for Singing and Instrument playing), Form (for Dancing and Body Movements), and last but not least, Language (for Drama and Acting). 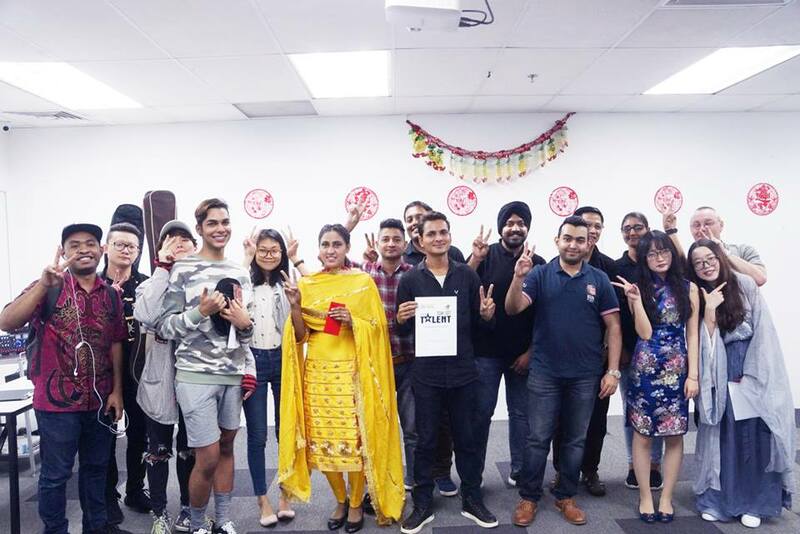 Everyone impressed the judges with their excellent skills – ranging from contemporary performances such as the singing of rock music to energetic self-choreographed Bhangra dances to the playing of ancient Chinese instruments to unique talents of mimicking of cartoon voices. This event brought the school together as everyone gave support and cheered for their friends. Sikander from DHO came in 3rd for the Talent Show last Friday. He performed a highly energetic and groovy dance which he choreographed himself – making it an instant hit with the judges! For the second prize, we present Julie from ADHTM who put in great effort in her costume and performed a mesmerizing instrumental solo piece with her Guzheng – a Chinese plucked string instrument with more than 2,500-year history. Last but not least, for the first time ever, we are happy to present 2 winners for the first prize. Both contestants – Jaspal (ADHTM) and Rajia (DHO), outperformed themselves and came to a tiebreaker. They are EACH awarded $100 for their impressive performance. Well done guys! We would like to thank all participants and every single student who was involved in assisting the talent show. We are proud of all our very talented participants. We look forward to more participants for SDH Got Talent 2019!